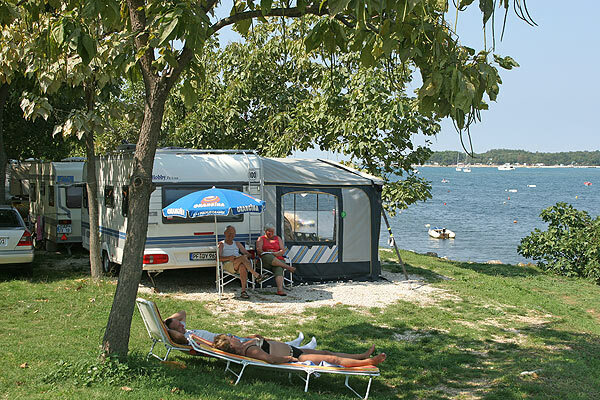 Camping Puntica is practically located within the Istrian town of Funtana. It is one of smaller camping grounds in Istria. 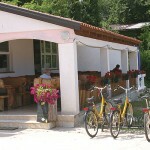 However, small does not mean you cannot obtain all you need for a perfect holiday. 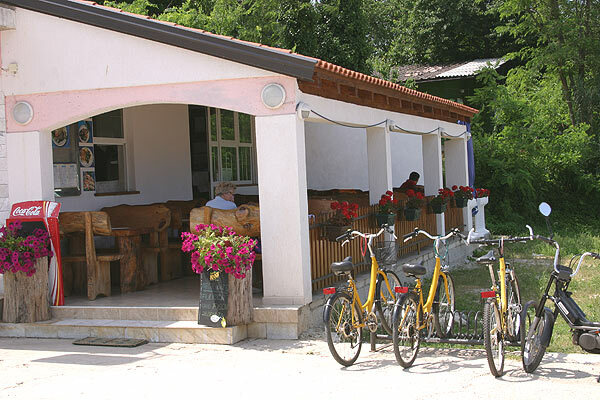 There are plenty facilities within the camp, and whatever you may lack you may get by a nice stroll down the little Funtana, especially famous, apart from the peace of a little town, because of delicious natural food it has to offer. 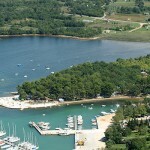 Further 7 kilometres away is where the somewhat larger Porec is. 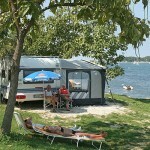 Camping Puntica stretches over the area 4.5 hectares large. It can accommodate only 700 campers, meaning persons, so make sure you book. The sea is right beside the pitching grounds. There are about one hundred marked area pitches, while the average pitch size is 100 square metres. Outlets to water and electricity have been fitted to all. 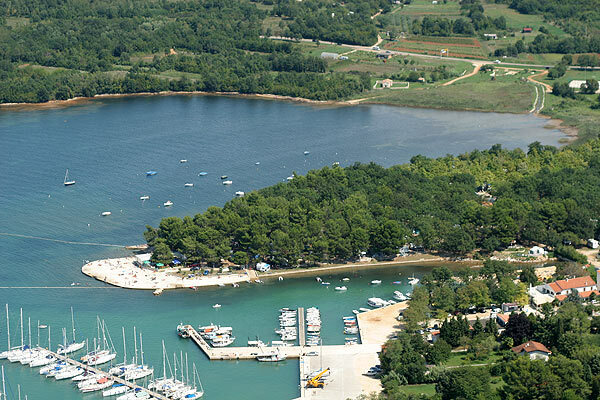 As for the nearby beaches, these are grassy, paved and rocky, while there is a special beach dedicated to kids. 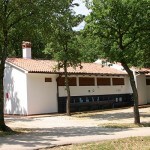 There are restaurants, grills and bars available at Camping Puntica, as well as a newsstand, a souvenir shop and a supermarket. The next-door Funtana offers the rest. Fitted showers, sinks and basins have warm water. There is a sanitary facility adapted to disabled persons. 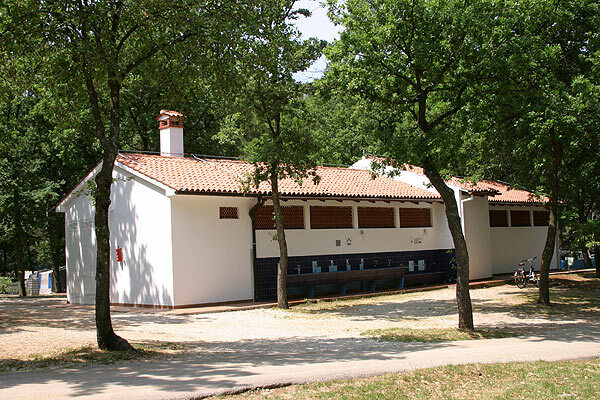 The camp also offers a hand washing area, as well as the service of using a washing machine proper. The camping grounds welcome pets, and there is a designated area for washing your dogs. The gas filling station for your car is but one kilometre away. The combination of small and small might just be right!